Plan an Iron Chef competition. Find a local kitchen and break you team up into smaller competitive teams. Buy the same food ingredients for each team. Give each team the same amount of team. Find three VIP judges to evaluate the results of the cooking demonstration. Visit a local culinary school and ask the chef to teach your team how to present a five-course gourmet dinner. This needs to be hand on activity, not just watching the chef. Have Build your own pizza lunch or dinner party. You might open this up to whole company or organization. Plan your own chili cook off competition event. Host a wine and cheese gala with a local Jazz group for entertainment. This could be used a community fundraiser for a non-profit group. Announce to your team that your planning a pot-luck with a them idea. The theme could be Mexican, Hawaiian, Italian, Mardi Gras, Holiday related, or just use your imagination. Have an old fashion BBQ, cook out or hog roast. This is great summer time event with a volleyball game, soccer or softball. 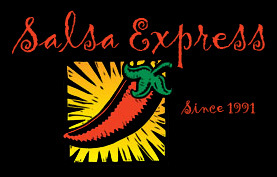 The original and largest source for gourmet fiery foods since 1991. Gift packs, popular salsas, hot sauces, dip mixes, and fiery snacks delivered quickly for your next celebration!